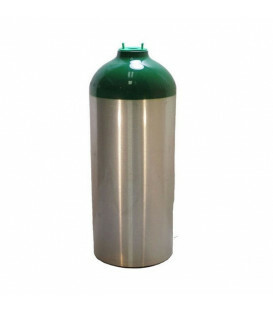 The new legislation AIFA regarding medical oxygen has been active since January 1, 2016 and requires the use of the cylinders only manufacturer owned AIC: therefore all owners of private cylinders must divest them and rent of medical oxygen cylinders from third parties ( primary and secondary manufacturers of oxygen). This will result in an increase in costs borne by all professional users who will therefore be forced to pay a monthly rental or yearly for each cylinder used. With the iFill, approved by European legislation, you can not only avoid having to pay expensive long-term rentals, but even he could refill bottles safely and independently. With this system, in fact the bottles compatible with the system of Auto-recharge can be recharged with oxygen for use by medical device in less than an hour and are always ready for use, avoiding downtime delivery and charging at third. 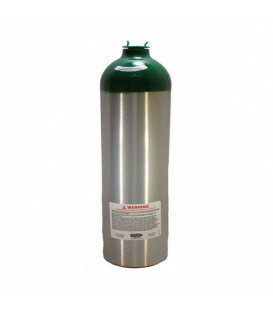 WARNING: the oxygen produced by the system iFill is a medical device while oxygen cylinders filled by a third party is a drug. The main difference is in the oxygen purity: 93% for the medical device and 99.5% for the drug. The purity not affect any therapy, nor short nor long term. The oxygen 93% is officially approved by the European Pharmacopoeia and is equipped with its own monograph approved. The new station for oxygen staff DeVilbiss iFill® has been redesigned and updated keeping in mind the goal of increased reliability and longer life. iFill is the ultimate in portable oxygen convenience, providing flexibility and ease of use unmatched. 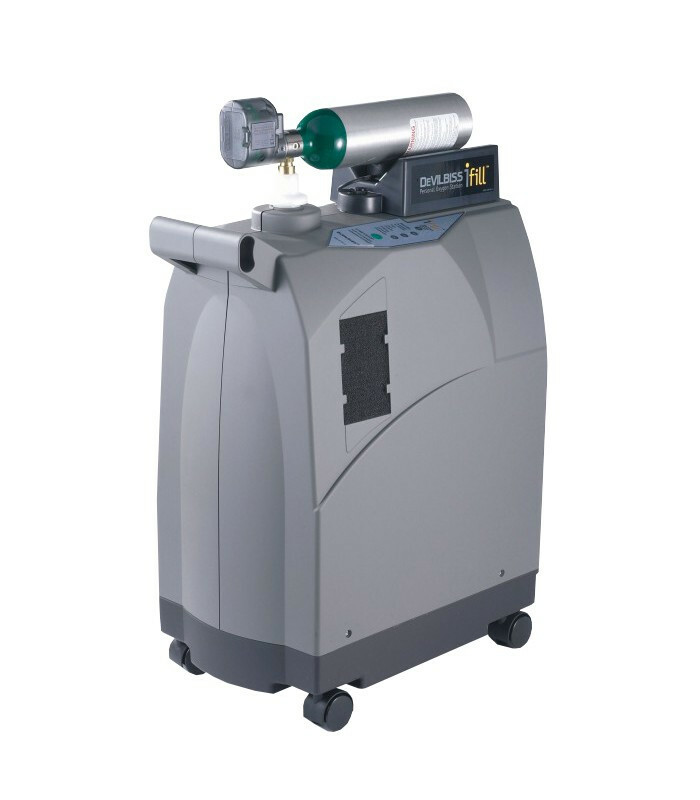 The unit iFill extracts purified oxygen from ambient air using the same technology as an oxygen concentrator and pressurizes to fill oxygen cylinders. Thus the cylinders are filled in a convenient, fast and safe directly in your own home. IFill the device can be placed and used virtually anywhere in the home, minimizing the noise and disruption of daily life. 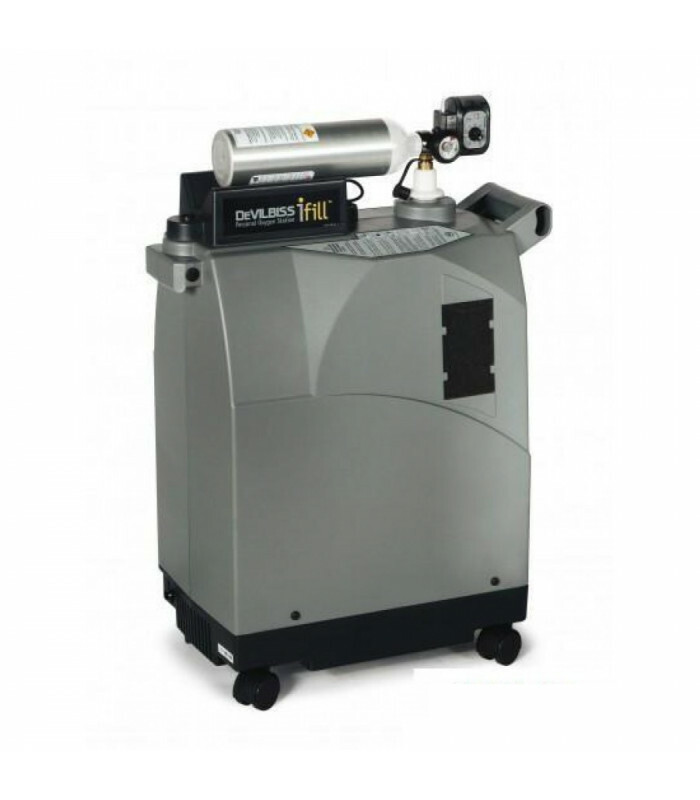 The station for oxygen staff DeVilbiss iFill® is the only gas station on the market independent of oxygen. With its unique design, a patient can use and store the device almost anywhere in his house, while minimizing inconvenience to the patient's life. 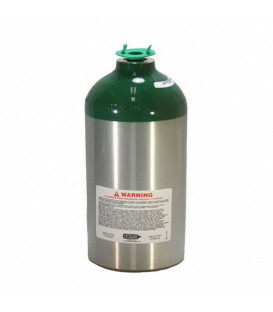 iFill, also, can be used in combination with any oxygen concentrator. 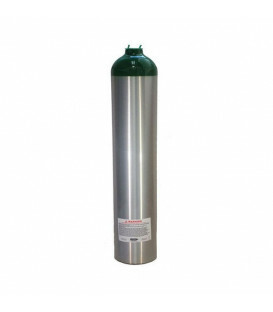 iFill provides the flexibility needed to fill most of the formats of the cylinders of oxygen, including M4, M6, ML6, C, D and E, using the interface system PulseDose Oxygen Conserving Device or interface "Regulator". The cylinders iFill are also available with a standard valve 870 of size M4, M6, ML6, C and D, for use with any device preservative and regulator. (Note: iFill must be used with a cylinder iFill). iFill allows users to fill his cylinder in just over an hour, as opposed to the time taken by facilities for the supply of oxygen at home. Shorter filling times result in reduced energy consumption. Partially filled cylinders can be easily filled and iFill turns off automatically when complete coverage. The table below reflects the number of hours of duration of an oxygen cylinder which is filled using a device of preservation PulseDose® or a flow regulator continuous. Note: All ambulatory ranges are calculated assuming a respiratory rate of 20 breaths per minute pulsed dose (PD).